"Update Apple ID Phone Number" On iPhone? What It Really Means! You are at:Home»iPhone»Apple ID»“Update Apple ID Phone Number” On iPhone? What It Really Means! Why Does It Say “Update Apple ID Phone Number” On My iPhone? Your iPhone says “Update Apple ID Phone Number” because Apple is reminding you to make sure theTrusted Phone Number associated with your Apple ID is up to date. If it’s not, you run the risk of losing access to your account. This notification first appeared on my iPhone shortly after I installed iOS 12, so this may just be Apple’s way of reminding its customers to double-check their iPhone security settings as the next big iOS update is pushed out. To make sure your Apple ID Phone Number is up to date, open Settings and tap the “Update Apple ID Phone Number?” notification. Then, tap Continue. When you tap Continue, a new menu will pop up asking if your phone number has changed. 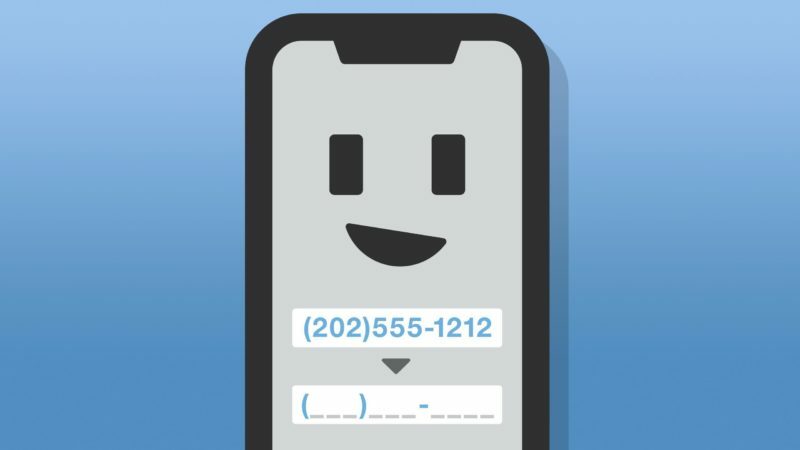 If your phone number has changed, tap Change Trusted Number. If your phone number hasn’t changed, tap Keep Using (Phone Number). I’m willing to bet that the phone number of most people reading this article hasn’t changed, so you can dismiss this notification for good by tapping Keep Using (Phone Number). If you did get a new phone number, and therefore tapped Change Trusted Number, you’ll be prompted to enter that new number on the next screen! Can I Always Update My Apple ID Phone Number? Yes, you can always update your Apple ID security settings. 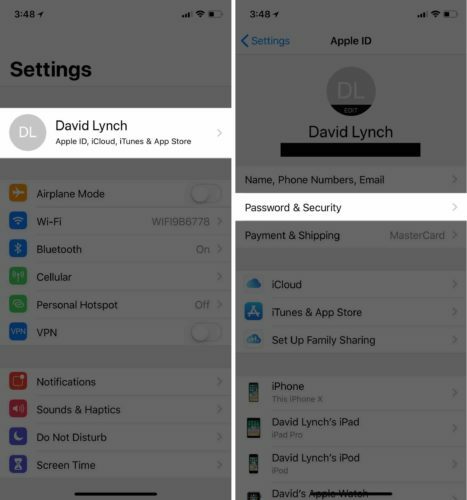 To update your Apple ID Phone Number, open Settings and tap on your name at the top of the screen. Then, tap Password & Security. Next, tap Edit next to Trusted Phone Number and tap Add a Trusted Phone Number. 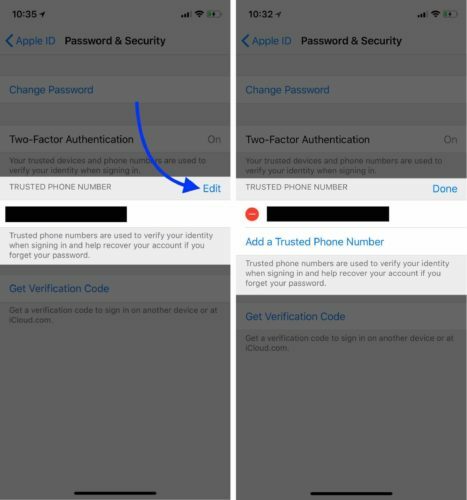 After entering your iPhone passcode, type in the new Trusted Phone Number. Finally, tap Done. 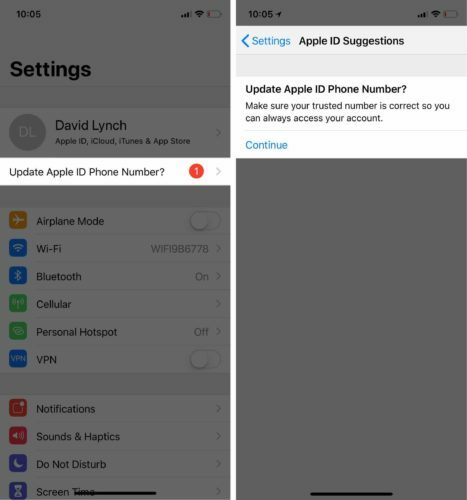 You now know why your iPhone says “Update Apple ID Phone Number” and how to update your Trusted Phone Number. If you have any other questions about your iPhone, leave a comment down below. Thanks for reading! Previous ArticleCan I Update Apps Automatically On iPhone? Yes! Here’s How. Next Article How To Turn On Automatic Updates On iPhone: The Real Fix!